Size: 3 ft. x 5 ft. 3 in. 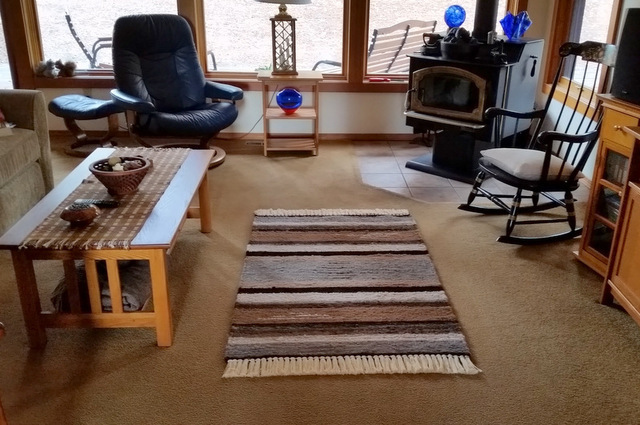 This alpaca wool area rug with fringe is unique, attractive and durable. 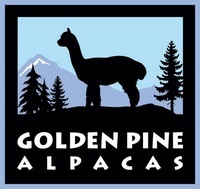 It is woven from Golden Pine Alpacas’ fiber in popular earth tones in shades of brown, black, white, fawn, and grey. All natural colors. No chemicals or dyes. Easy care. Soft yet extremely durable. Your bare feet will love this rug! Reversible - same on both sides. 100% alpaca wool is spun around a jute core, which gives the rug years of durability and also has the advantage of being reversible. It resists fading and wear and provides a certain amount of sound-proofing. 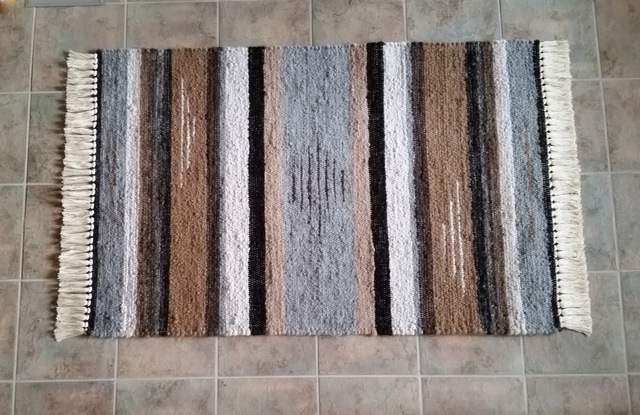 This hand-woven rug shows occasional unevenness and nubs, which gives it a unique one-of-a-kind look. Because it is alpaca, the feel of the rug is pleasingly soft. 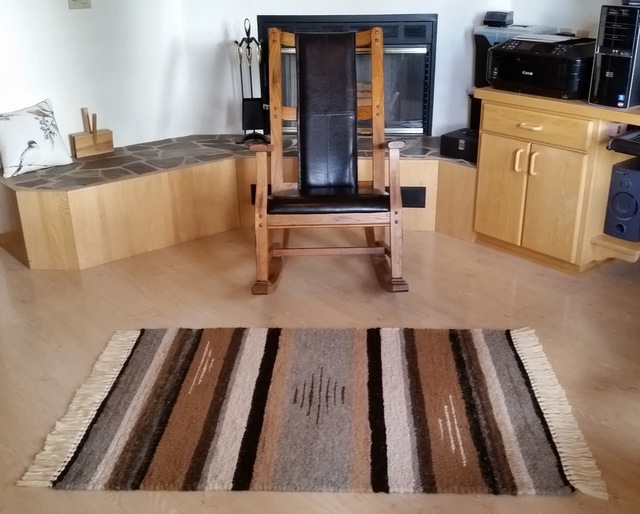 The rug is hand loomed by artisans in West Texas from a pattern chosen by Golden Pine Alpacas and fiber from our alpacas. 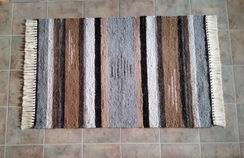 Total Size: 3 feet x by 5 feet 3 inches including fringe. 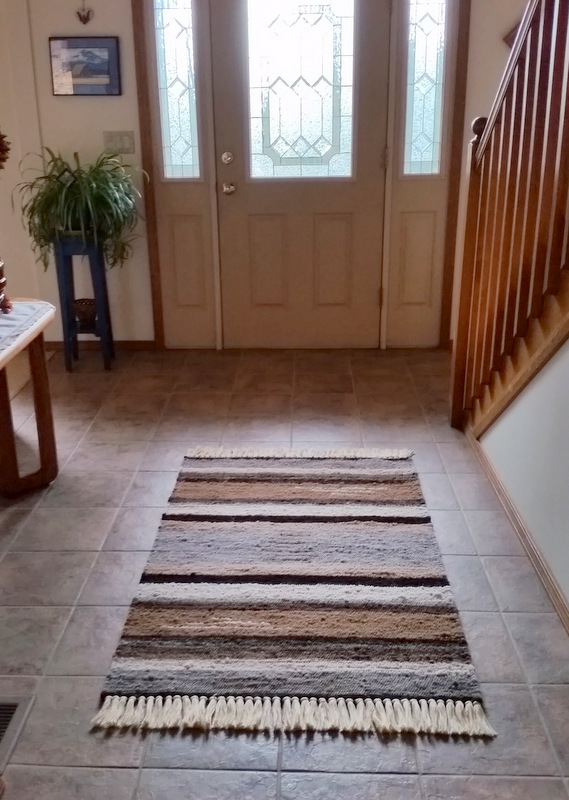 Easy Care: Vacuum or shake rug. Spots are easily removed with mild soap and warm water. You may shampoo the entire surface with Woolite or have it professionally cleaned. For your rug and your safety, a quality foam (or like) under pad is recommended.